Transfer and tours with SUVs, cars and luxury mini van. 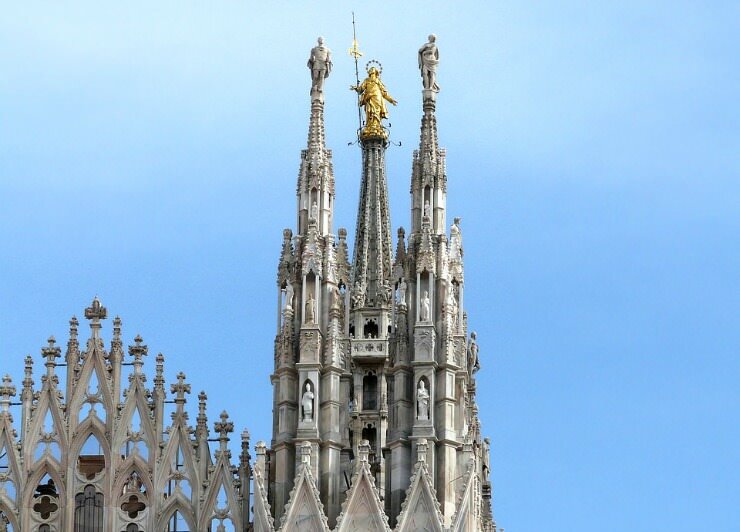 Milan, the city of a thousand faces. Some people love it because it is the fashion capital of Italy, others love it because it’s here that things happen. We are here to plan your trip to Milan from anywhere. Want to organize a luxury transfer from Genoa to Milan? This is the starting point: here you will find NCC licensed drivers and the best luxury cars to move in complete autonomy. You can choose everything about your transfers, customizing steps and stops. You can leave from Genoa to visit Milan in one day. In this case we can arrange a city tour to visit everything worth seeing. The journey starts from Genoa. After driving on the A7 motorway for about 140 km and 2 hours, we will arrive in Milan. Here we can visit Piazza Duomo, the Galleria Vittorio Emanuele II, La Scala theatre, the Sforza Castle and the famous fashion streets: Via Manzoni, Via Montenapoleone, Via della Spiga. If you prefer to spend all day shopping you only need to tell us: we have a special shopping tour. Piazza del Duomo (Cathedral Square) is the true center of the city, but also the starting point to get to other places. From the Cathedral, in fact, you can see the famous Galleria Vittorio Emanuele II. The second stepover of the tour will be the Sforza Castle, the former residence of the Dukes of Milan built since 1360. To date, the castle houses some municipal museums and permanent exhibitions, such as an art gallery with 230 Italian painting masterpieces. A short walk from the castle you will find the already mentioned fashion streets of Milan, where you can admire the shop windows of the most renowned brands in the world. You will visit Via Manzoni, Via Montenapoleone, Via della Spiga with our drivers who are expert of this places. We already said that everything is customizable with Clab Service. That’s why, talking to our customers, we identified another interesting place: the Serravalle Outlet. From Genoa Porto, on the way to Milan, you can stop here. Our luxury car rental service allows you to plan your shopping tour as you see fit. Serravalle Designer Outlet is the largest outlet in Europe, with 180 shops and an unequaled portfolio of prestigious brands. At Serravalle Outlet you don’t simply buy things, you live a unique shopping experience in exclusive boutiques, open onto small squares and narrow streets. Obviously this stepover must be agreed in advance. What does the Genoa/Milan transfer include? Our chauffeur driven car hire service from Genoa to Milan includes an experienced driver who knows the city, luxury car (sedan, SUV, minivan), booking assistance, car liability insurance. On request, we customize every single step. We can, for example, book hotel and luxury restaurant in Milan, organize a guided tour or a personal shopper, buy tickets for shows and exhibitions. The chauffeured luxury car tour of Milan leaving from Genoa is always available.